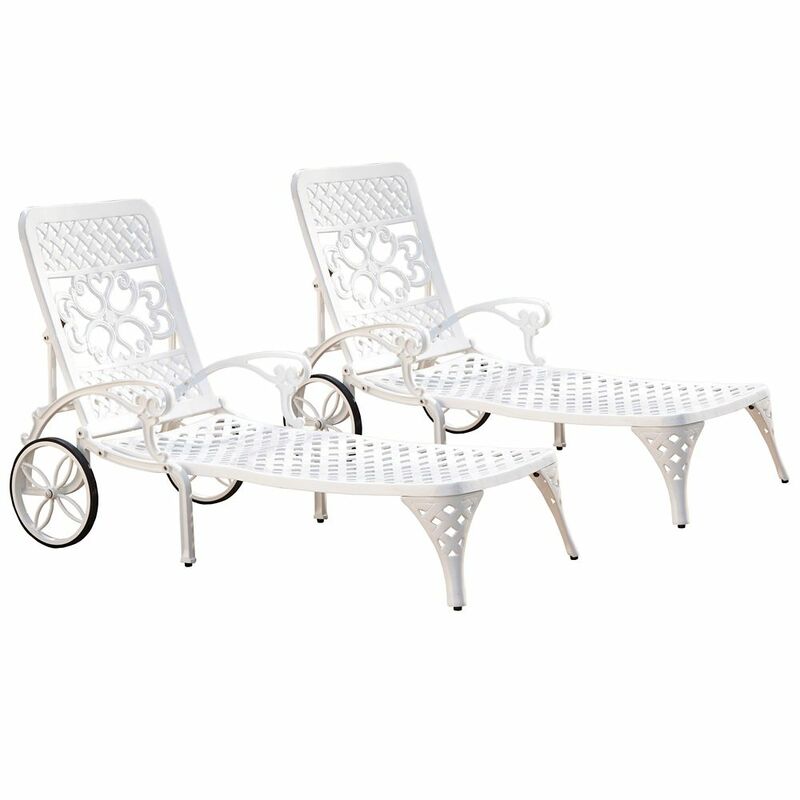 Biscayne White Chaise Lounge Chairs (2) is rated 4.0 out of 5 by 1. Rated 4 out of 5 by Rhonda from The chairs are lovely but were challenging to assemble. ... The chairs are lovely but were challenging to assemble. The holes for the screws did not exactly align and we had to really use some elbow grease to get the wheel sections secured. One wheel is not quite parallel to the chair but leans slightly. It's probably a good thing they will not be rolled around very much.